Need more information about NIH's GCP training policy? The University of Michigan offers a variety of educational opportunities and resources for U-M investigators, students and staff involved in human subjects research. The Human Subjects Research Protections e-Learning course in U-M's Program for Education and Evaluation in Responsible Research and Scholarship (PEERRS) training catalog fulfills the regulatory requirements for human subjects protections training. U-M employees and students have access to the PEERRS menu in U-M's My LINC training system via their uniqname and UMICH (level 1) password. Completion of this course is a requirement for the IRB approval of regulated human subjects studies. This course is modeled on the Collaborative Institutional Training Initiative (CITI) human subjects protection modules. For biomedical clinical trails, U-M offers GCP training through the Collaborative Institutional Training Initiative (CITI). To access the CITI GCP course, you must first create a CITI account (free) and affiliate with the University of Michigan within CITI. See the CITI step-by-step instructions for details. For social/behavioral clinical trials, the Michigan Institute for Clinical & Health Research (MICHR) offers the NCATS Social and Behavioral Best Practices course in My LINC. All U-M employees and students have access to U-M's My LINC training system through their uniqname and UMICH (Level 1) password. See the My LINC step-by-step instructions for details on how to register for the MICHR GCP course. The study team member is responsible for obtaining a GCP certificate displaying the course completion date, and providing that certificate upon request of the research sponsor, the institutional review board (IRB), or other institutional oversight units. GCP training must be renewed every three (3) years upon initial certification expiration, as long as the study team member is involved on an active clinical trial. The following U-M departments offer courses, seminars, workshops, etc. that cover regulatory overviews and specific human subject protection procedures. Research Administrators Network (RAN) - mostly applicable to those administrators who work on funding proposals and financial monitoring of awards, but compliance information and processes may be covered. 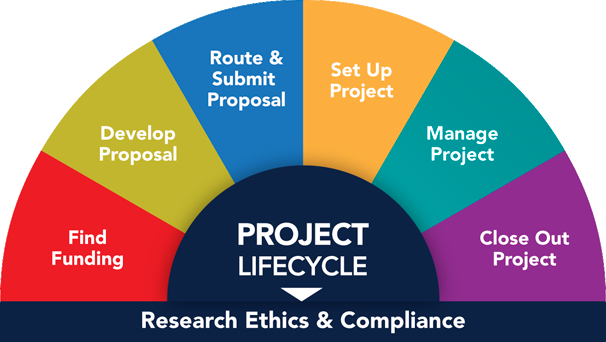 U-M employees and students working on an NIH-funded social/behavioral clinical trial can fulfill the NIH GCP training requirement by taking MICHR's Social and Behavioral Research Best Practices pilot course in My LINC. MICHR's course is the same as the social/behavioral GCP course offered through CITI or the NIH Society of Behavioral Medicine. 02/02/16: Learn more about the HIPAA-aligned high-performance computing cluster available through U-M's Advanced Research Computing - Technology Services (ARC-TS).